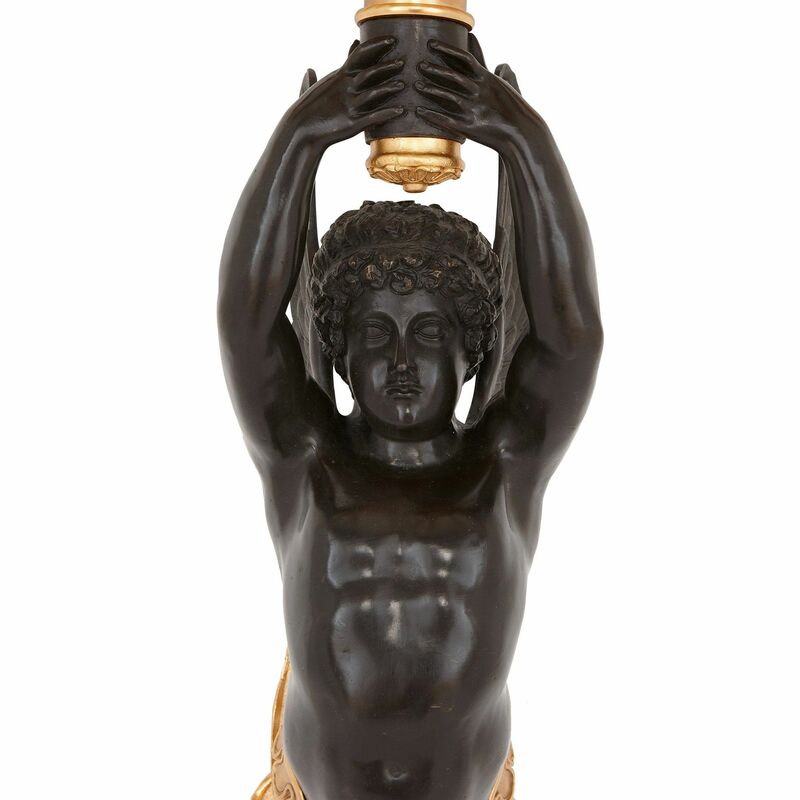 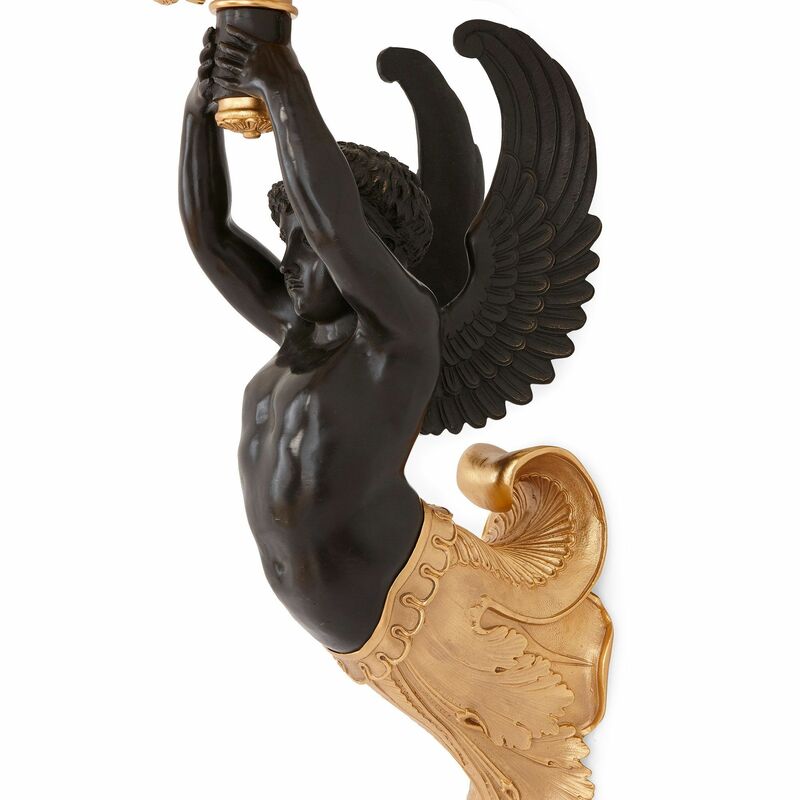 These wall lights are distinctive for their beautifully contrasting gilt and patinated bronze surfaces and the exceptional casting of the angelic termes. 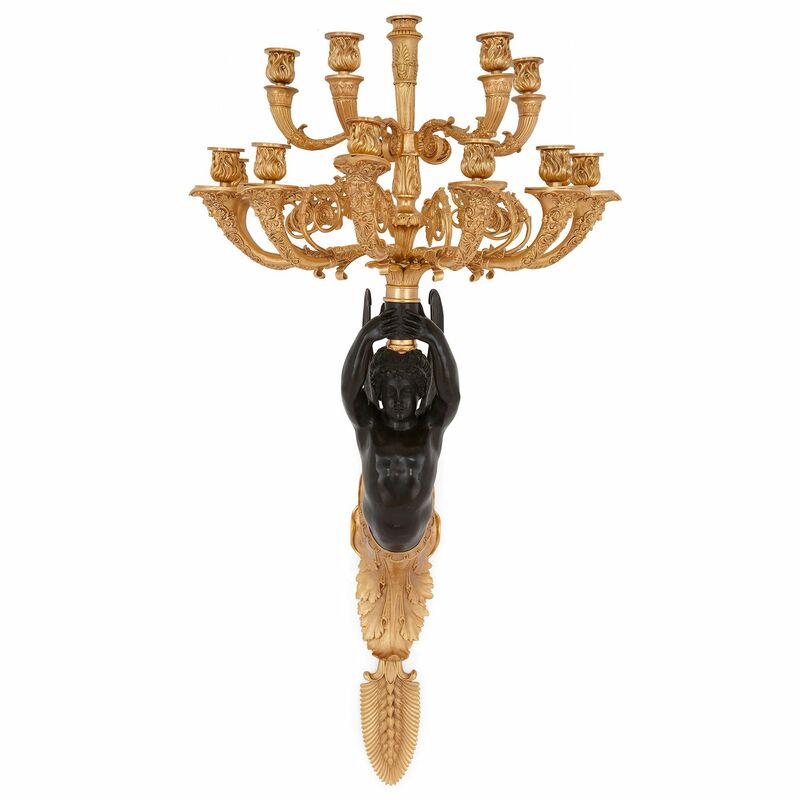 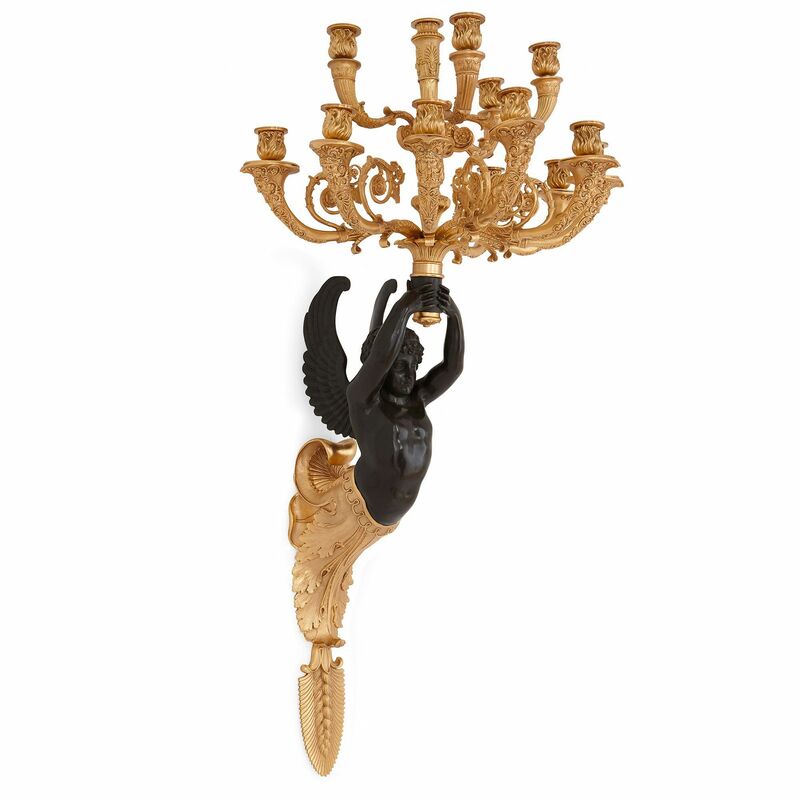 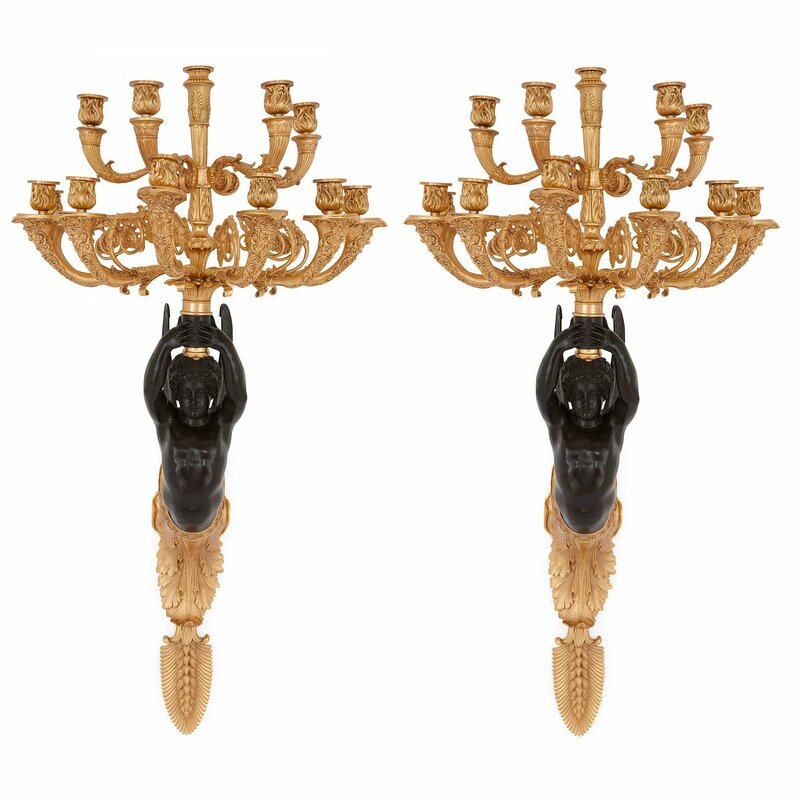 These two gilt and patinated bronze wall lights have been fashioned in the French Empire style. 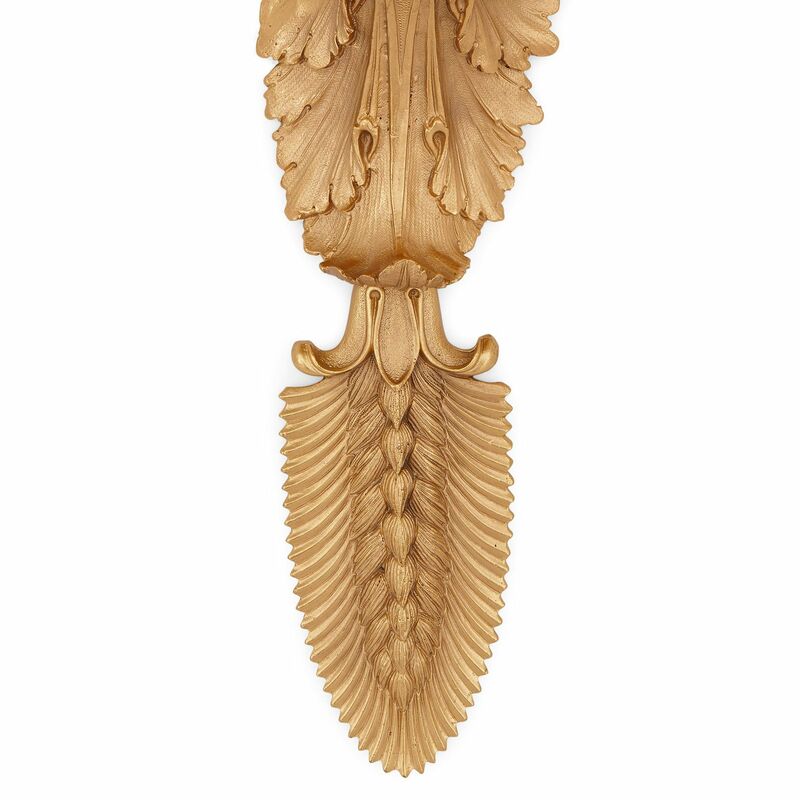 Each light is modelled as a 'terme', a half-length figure, which here takes the form of a winged angel. 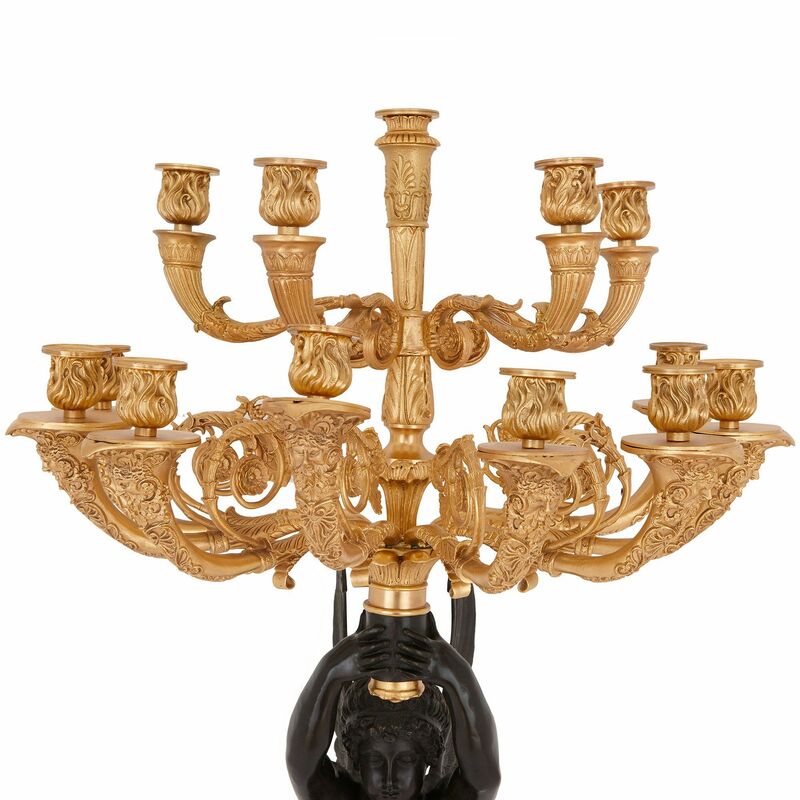 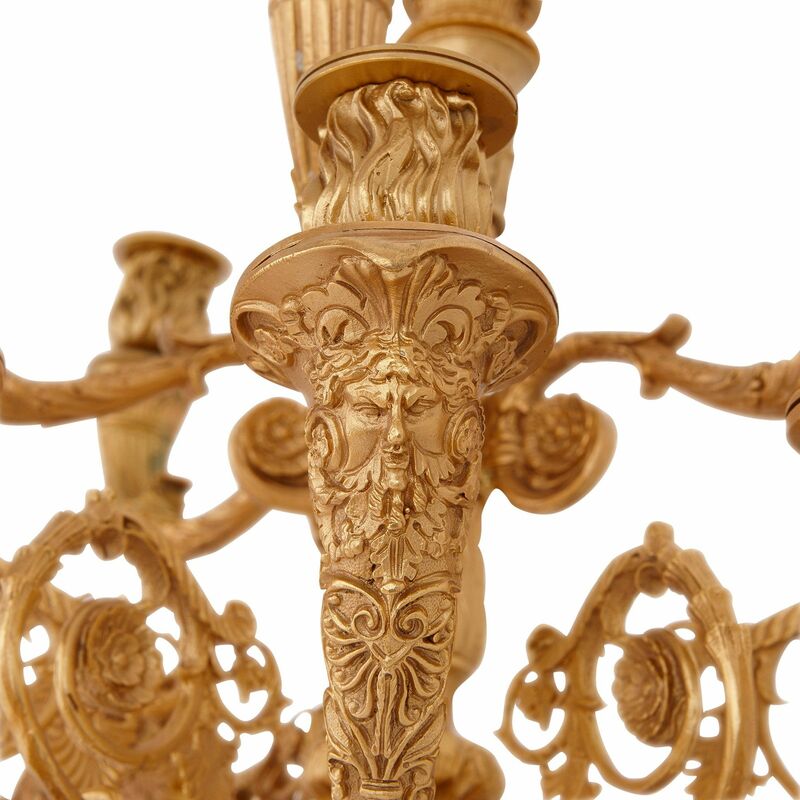 Each figure holds aloft an ormolu candelabrum, which can hold twelve lights. This pair could be combined with this other pair of similar design, to make a set of four stylistically uniform wall lights.